Bamboo flooring has become increasingly popular over the last several years, especially in the world of green building materials. And even though it is often considered wood, as it falls into the category of hardwood flooring options, it actually is not wood. Although bamboo is a lot like wood, it is actually a tree-like grass that is very hard and provides durability as a home flooring option. But why are homeowners opting for this type of flooring over so many others? Continue reading to learn about just a few of the many benefits that bamboo flooring can provide. One of the first and most important reasons why many homeowners opt for bamboo flooring instead of other types of wood flooring is because it is an environmentally friendly option. This is because bamboo can be sustainably harvested from fast-growing stalks, and bamboo can also be grown in a variety of conditions and habitats. When a part of a bamboo stalk is harvested, it continues to grow without having to be replaced. While bamboo is being grown, few fertilizers and pesticides need to be used, and when the flooring is installed, it doesn’t need to be treated with as many chemicals either. Overall, bamboo is one of the best choices for anyone who is trying to lead an eco-friendly lifestyle and who wishes to decorate with “green” materials. Another reason why so many people love bamboo flooring throughout their home is the fact that it is easy to keep clean. And because it is so durable, it is also easier to maintain for many years to come. You can install bamboo flooring in just about any room throughout your home because it is also more water-resistant than other hardwood options. It is also considered highly adaptable, as it is not as sensitive to shifts in temperature like other options on the market, such as tile and stone. So go ahead and install this flooring in your kitchen or bathroom without fear. To keep bamboo floors clean, all you have to do is vacuum or sweep them regularly. 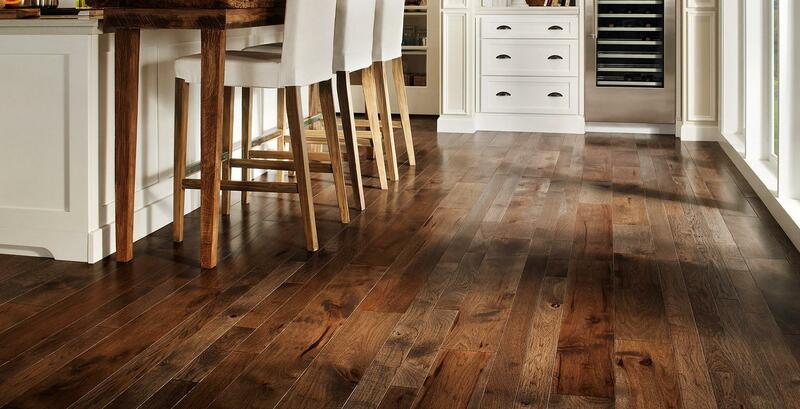 On occasion, you can also use a damp mop or clean the wood with a non-alkaline, non-wax bamboo floor cleaner. 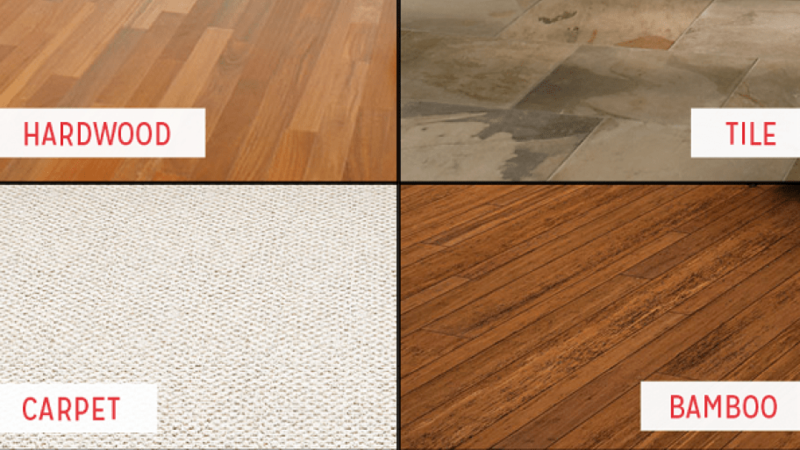 If you are looking for a flooring option that will be highly durable, bamboo could be the best choice. It is much harder than other types of hardwoods available, so it can withstand a lot of foot traffic in areas like your kitchen, living room, and dining room, as well as in individual bedrooms. Many bamboo floors also come with long warranties that will ensure they will maintain their looks and strength for many years. There are a variety of bamboo flooring options available, so you can choose the color and the style that works best in your space. Many companies now offer homeowners more choices than they can imagine, so finding an affordable bamboo flooring option is easier than ever.